O’Hara Lobster Bait has been supplying coast of Maine lobstermen and women for over 65 years. Operating a full indoor processing facility and over 3.5 million lbs. of cold storage, we work to always keep you supplied with bait. Owner and operator of two Atlantic herring vessels, the F/V Sunlight and F/V Starlight, O’Hara Lobster Bait can bring you a high-quality fresh or salted herring lobster bait. After the fish are caught, they are immediately put into refrigerated sea water fish holds aboard the herring boats. Here the seawater is kept at 29 degrees to prevent spoil. The boats then steam to our Rockland, ME based processing facility where they are directly put into tanks and barrels, then into to the cooler for storage for sale. All Prices are Subject to Change Depending on the Market. To supplement our seasonal herring catch and keep our customers supplied, O’Hara Lobster Bait sources frozen product from around the globe. 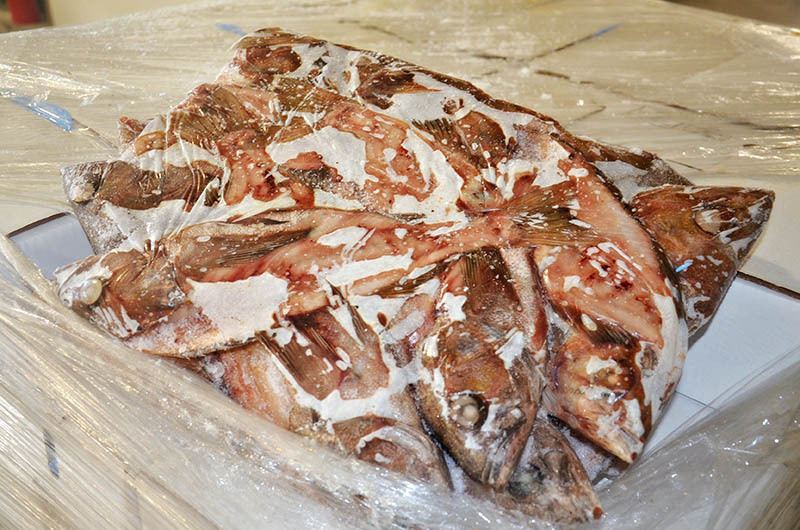 From West coast rockfish, Menhaden (pogies), to Pacific Ocean tuna heads, we stock a wide variety of frozen bait options. Purchase by the box or by the pallet for a volume discount.